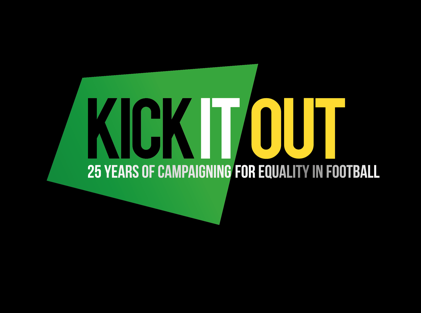 For the last 25 years Kick It Out has been at the heart of the drive towards equality, inclusion and cohesion for everyone who plays, watches or participates in football. Having started as ‘Let’s Kick Racism Out of Football’ in 1993, it has evolved into an organisation which – working alongside its partners The FA, the Premier League, the English Football League, The Professional Footballers’ Association, the League Managers Association and the Football Supporters’ Federation, among others – fights all forms of discrimination in the game we love. Since its inception, Kick It Out has provided a clear, independent voice within the game to challenge discrimination and exclusion, as well as education for professional players, clubs and staff, fans, grassroots organisations and beyond. The organisation also provides mentoring and guidance to help underrepresented groups participate in football and secure opportunities to develop a career in the game. Let’s kick racism and discrimination out of football – together.